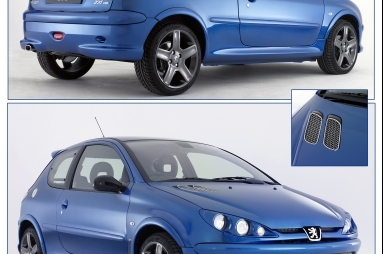 With over 600,000 Peugeot 206s on UK roads Peugeot has launched a range of exciting Sports accessories for the ultimate “make-over”. Whether it is a rear spoiler, 17” alloy wheels, or a bonnet top grille, the Sports accessory range has the accessory to create any look. Every item is designed exclusively for Peugeot, so there’s no compromise on quality.